The International Pathwork Conference is an amazing opportunity to meet Pathworkers from all over the world and gain insight into their perspective and ways of teaching Pathwork. Explore a new country, make new friends, and share your love of the Pathwork! We believe that you will find Ottawa and Carleton University an ideal location, situated between downtown and the airport with boundaries of a river, the canal and the government’s urban farm land. There are many opportunities to enjoy nature when we are not in session. Check back for registration details coming soon. Obrigada, Brazil! 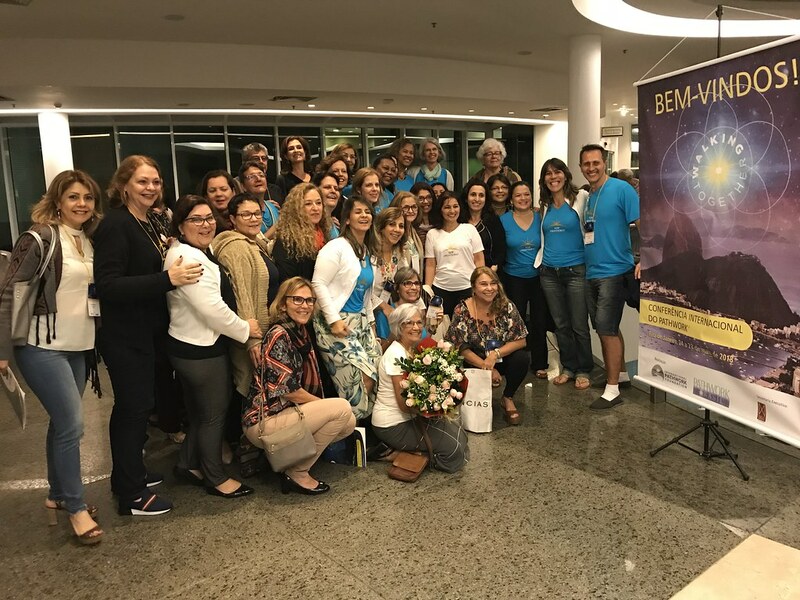 As you may know, the 2018 International Pathwork Conference was held in Rio de Janeiro from May 24 to May 27 and it was glorious! If you have never been to Brazil or met Brazilians, I can tell you that they are warm, welcoming and loving! I had LOTS of WONDERFUL hugs during our time there. The conference was attended by about 330 Pathworkers, mostly Brazilians. There are 9 different Pathwork regions in Brazil and many, many Pathworkers. And the conference was packed full of different events and workshops. Read More.